→Sawyer Mini VS Squeeze: Which One is the Best for You? This is not just a trend. 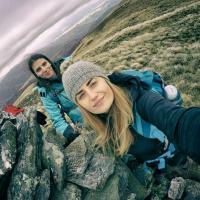 Backpackers really need portable water filters. I’m glad I’ve heard about Sawyer. Now, I worry less about water when I’m in the wild. Sawyer is famous to be reliable in water treatment and purification. However, they offer two types for you to pick. In Sawyer Mini VS Squeeze, which one do you think is for you? 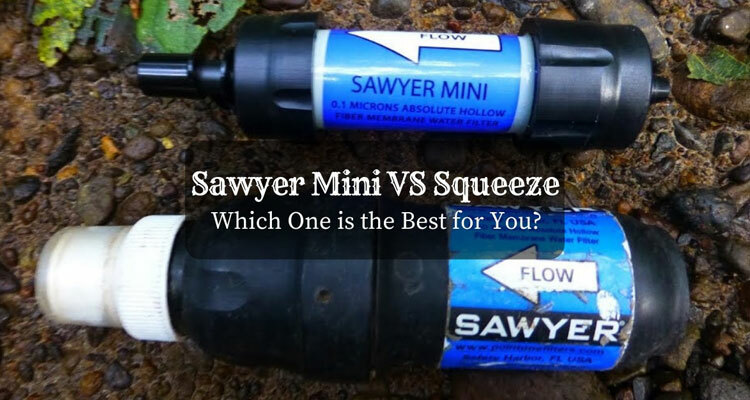 Sawyer Mini VS Squeeze: What is the Difference? Knowing that these products are from Sawyer, I know that it’s competent and worth my interest. The name is already famous in its water filter’s high-quality performance. Between Sawyer Mini and Squeeze, I need to find out what makes them different. Then I could determine which of the two I will pick. For a backpacker, the main factors that I look for in a portable water filter are its effectivity, weight, size, and flexibility. To be honest, the price comes last for me. However, for Sawyer Mini and Squeeze, the competition is tight. It’s my goal to travel light as much as possible. Since Sawyer Mini only weighs 2 ounces and small (1” x 5”), it’s perfect for my trips. Do you know that it can filter 100000 gallons of water? This handy water filter assures 99.99% protection against bacteria and protozoa. I like the fact that it’s easy to use and does not hurt my pocket. That means, I did not only eliminate the heavyweight in my load, but the water I drink is a lot safer too. You can use it with a straw, attach it to your water bottle, and use its squeeze bag to refill your water containers. 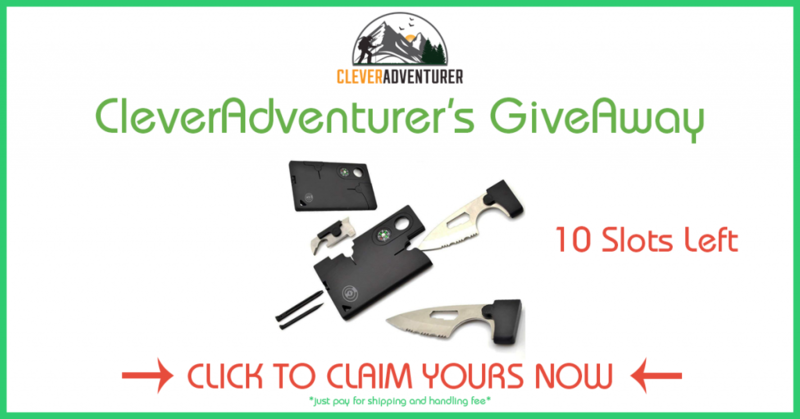 Sawyer Mini has a free 16 oz. squeeze bag that you can use outdoors, but since it’s not that big, you need to bring extra pouches just in case. I highly recommend this as a necessity for your camping checklist. It’s light, economical, and very effective. Remember to backflush after using to get it ready for the next trip. Sawyer Squeeze also guarantees 99.99% protection of bacteria and protozoa just like Mini. However, it weighs almost twice the Sawyer Mini and is a bit bigger too. If you are the type that is sensitive about cost, it’s a heads up to say that it’s twice the price of a Mini. Yet, is there something about Squeeze that is worth the try? Yes, there is! Squeeze has a better flow rate than Mini. Mini can fill in a liter for about a minute and 30 seconds while Squeeze only takes 30 seconds to fill. Squeeze is a lot faster than Mini. Imagine how convenient it could be to be able to drink the needed amount of water in no time. This is useful, especially when camping with your family. Besides, Squeeze does not require frequent backflushing and is not prone to clogging. Also, Squeeze filters 1,000,000 gallons of water compared to Mini’s 100,000 gallons. I made a quick comparison for easier comprehension. Apparently, I do prioritize the weight of the filter for me to able to pack light. Since the effectivity of the filters is the same, I almost thought that Sawyer Mini is for me. Well, I am also impressed with how I can drink water directly from the source with it. However, when it comes to convenience, Sawyer Squeeze comes first. I am impressed about how fast I can filter water compared to Mini. I am fond of camping for days in the wild with a group of friends and family. Therefore, I need a filter that can give safe water in lesser time without frequent clogging. I cannot imagine how frustrating it can be to wait for water when I am so thirsty. Hence, because of this, an additional weight at my back and a few extra bucks are bearable. My personal pick is Sawyer Squeeze! The truth is, for Sawyer Mini VS Squeeze, both have the advantages that are practical for different situations. I may have chosen Sawyer Squeeze as my first choice, but that is because it suits best for my style. However, for the minimalist and for short trips, Sawyer Mini may work. It really depends on priorities. The truth is, Sawyer has found a way to make backpacker’s life easier and safer. It doesn’t matter whether it’s Mini or Squeeze. For sure, the load is a lot lighter, and water is just a sip away!